We recently began supplying North American Lighting with Remote Water Temperature Control Systems for their multicolor molding machines. 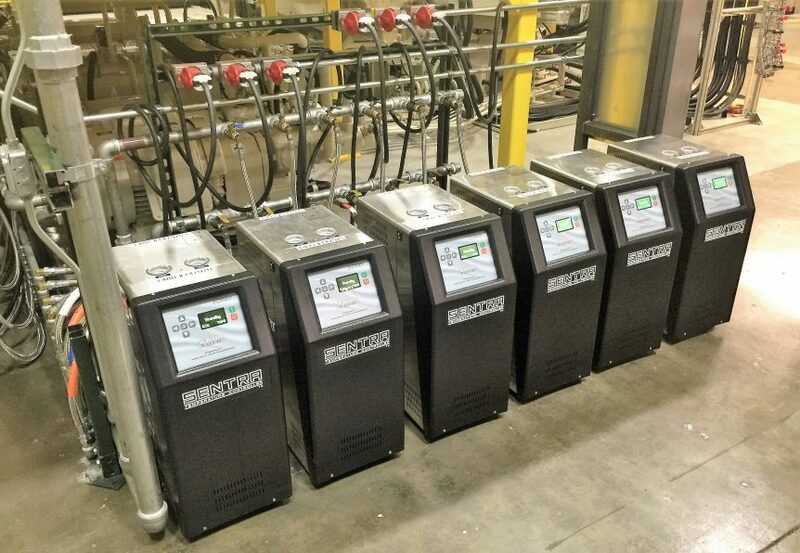 These systems consist of seven to nine of Advantage’s New “G” Series Water Temperature Controllers along with the XK Remote Monitoring system. The units are connected via a low voltage cable to the XK Controller. At the XL Controller the technician can control and monitor the individual units. If you would like to learn more about the XK Control package or any of the other fine products that we represent. Please contact George or Andrew.